Nine men have been jailed for almost 75 years after police smashed a major cocaine dealing ring. More than 40 detectives took part in a lengthy surveillance operation which led to seizures of drugs and more than £100,000 in cash. Among those dealt with at Teesside Crown Court was Andrew Blake who was sentenced to 14 years in prison. He was described as one one of the ringleaders by prosecutor Peter Makepeace QC. "Blake was a major recipient of cocaine," said Mr Makepeace. "He received about 15 kilos of the drug over 18 months, and he had his own support team. Cocaine and cutting agent recovered by police as part of Operation Sidra. "The police were able to identify individuals who visited Blake's address and took quantities of cocaine to be sold on to an existing network of customers, often advertised via text message. "Police were able to establish Blake kept some of the cocaine safe from seizure at his girlfriend's house in Easington Lane. "Other members of the gang also used safe houses for the processing and storage of cocaine and cash." Mr Makepeace outlined the role of each defendant. Robert Anderson: Supplied high grade cocaine to Blake for onward supply to dealers lower down the chain. Stuart Gooden: Regularly supplied nine ounces of high purity cocaine via Blake for onward supply. Andrew Belford: Involved in supply to Blake, and in supply to co-conspirator Darren McBride. Darren McBride: Recipient of cocaine for onward supply. Cash recovered by police as part of Operation Sidra. Paul Casey: Supplied with cocaine for onward supply to his own customer base. Dean Smart: Recipient of cocaine for onward supply. Ryan Johnson: Supplier of cocaine and onward dealer. Lawyers for the defendants said none were dealing at the highest level, and there was no evidence they had made a lot of money from the conspiracy. The following were all convicted of conspiracy to supply class A drugs in 2014 and 2015 and were sentenced by Judge Deborah Sherwin. * Andrew Blake, 41, of Regent Court, South Hetton - 14 years. 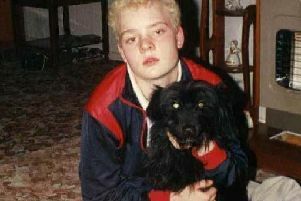 * Andrew Belford, 33, of Londonderry Street, Silksworth, Sunderland - seven years. * Dean Smart, 28, of Ashdown Road, Farringdon, Sunderland - four-and-a-half years. * Darren McBride, 34, of Hendon Grange, Sunderland - 10 years. * Paul Casey, 45, of North View, Castletown, Sunderland, - seven years. * Robert Anderson, 45, of D'Arcy Court, Sunderland - 10 years. * Stuart Gooden, 38, of Ullswater Drive, Albany, Washington - 10 years. * Ryan Johnson, 26, of Dene Crescent, Shotton Colliery - seven years. * Ian Ramshaw, 33, of Cambridge Road, Sunderland - five years. The judge told the men: "Some of the defendants had access to high grade cocaine at close to import levels of purity. "Where there was any doubt I have adjusted the sentence in favour of the defendant." The investigation, codenamed Operation Sidra, was led by Detective Chief Inspector Nicola Lawrence of Durham Police. "This organised crime gang was involved in bringing huge amounts of class A drugs into the East Durham area and beyond. "Through years of hard work and investigation, and with the support of local people who came forward with vital pieces of information, we have been able to disrupt and destroy this particular network. "I hope this sends out a clear message that we will not tolerate criminality of this nature in our force area..
"We will relentlessly pursue those involved and put them before the courts to make our streets safer." Hearings on dates to be fixed will determine if any of the defendants has assets which can be seized as the proceeds of crime.